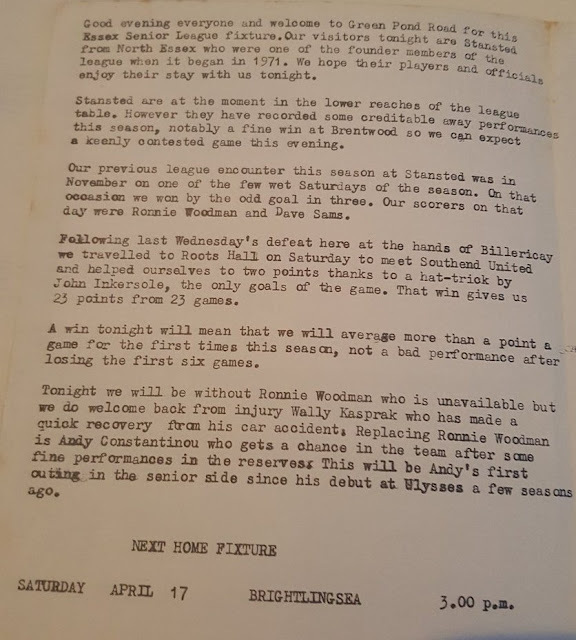 They didn't draw massive crowds to their games but Eton Manor Football Club were and still are much loved by many - they are currently in abeyance after withdrawing from the Essex Senior League at the end of last season season - they are classed as non-playing members of the league at present. 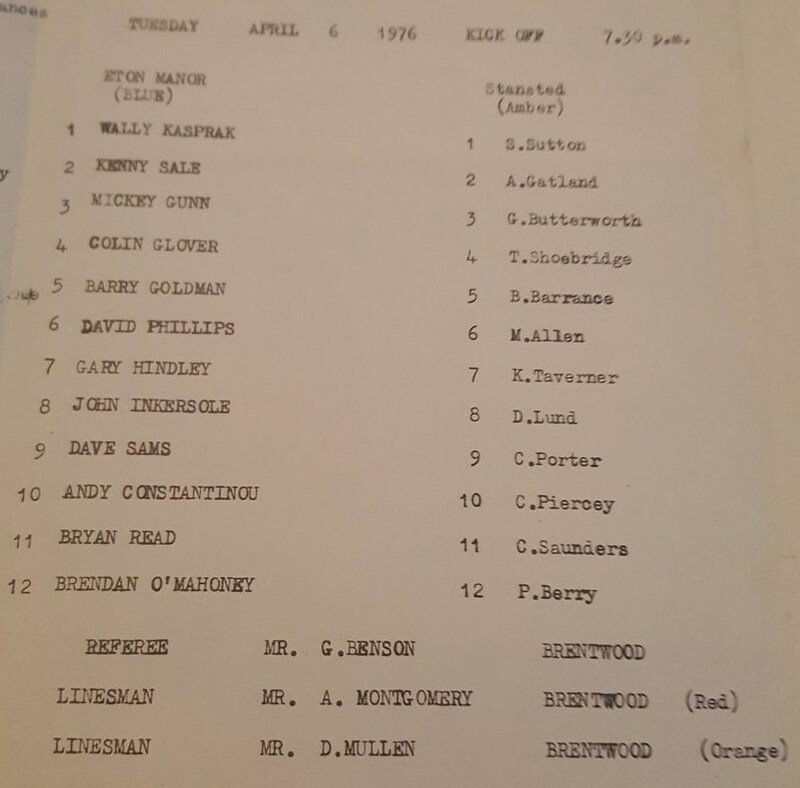 Hopefully the club formed in 1901 will be back at some level of football for the 2018/19 campaign especially as they came about through a number of affluent, rich and influential families bringing sport to the poor and underprivileged youth of the East End of London. 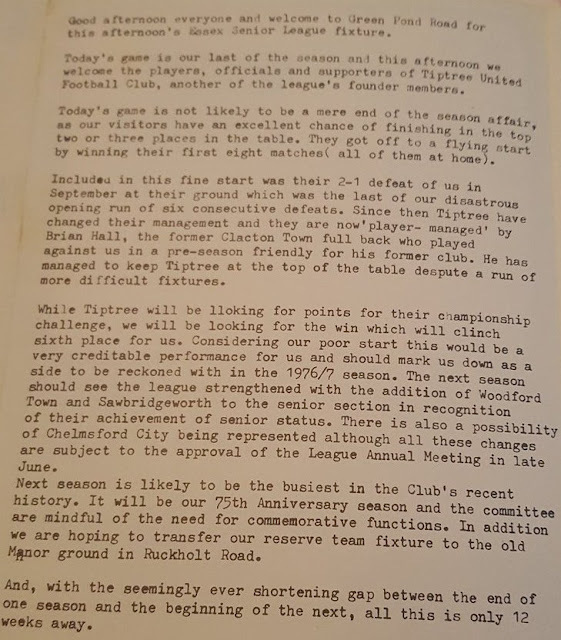 The club's spiritual home and local area has changed remarkably over the past ten to fifteen years especially with the 2012 Olympics and the development of Stratford - I believe there is still a place for such a historic and important football club in the area even if it's at a lower level of the pyramid but closer to their roots. The club's football, cricket and football sections used the sports-ground at Hackney Marshes known as 'The Wilderness' up until the 1950s. 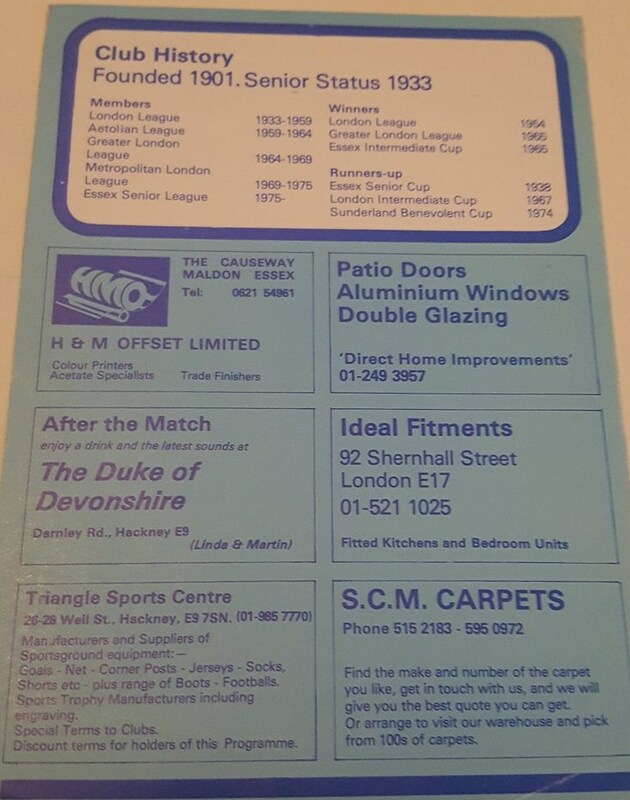 Since then they have played at a number of different venues in East London and Hertfordshire. 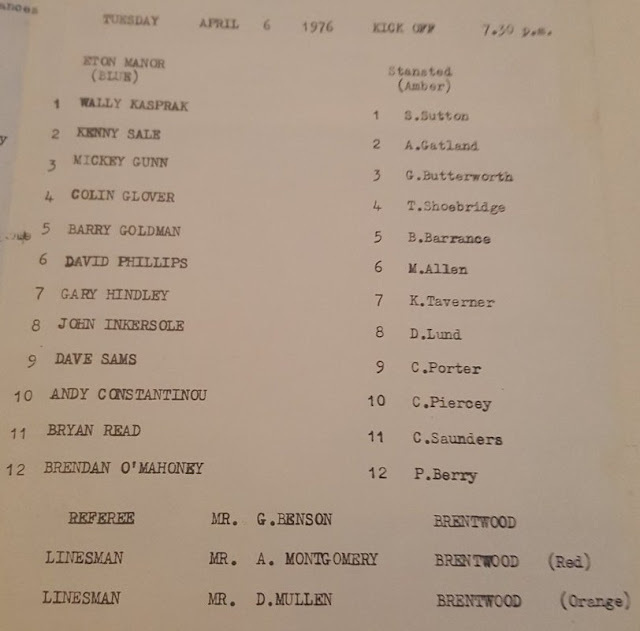 Here we travel back over 40 years to the 1975/76 Essex Senior League season when Eton Manor ground shared at Walthamstow Avenue's Green Pond Road ground. 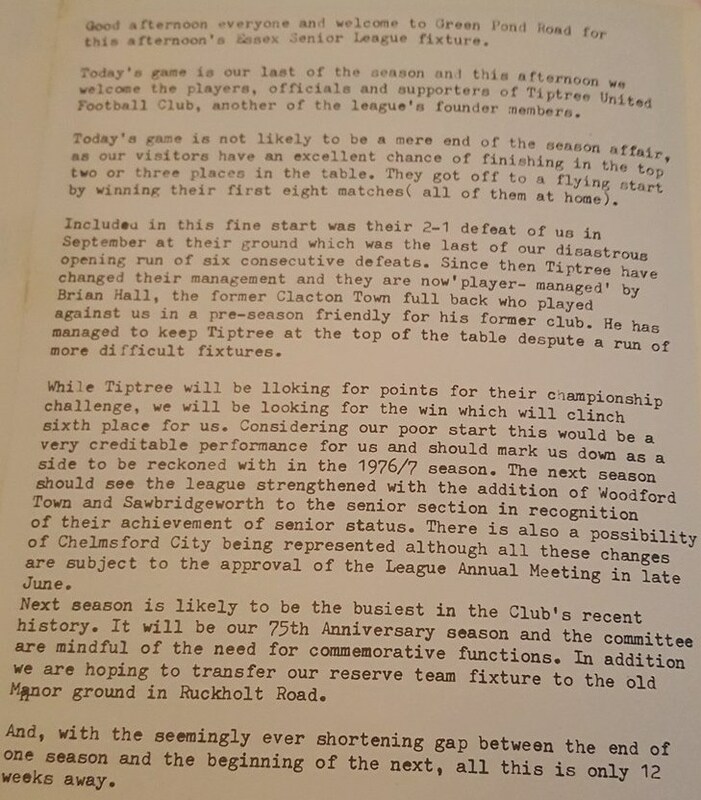 The two programmes are for games against Tiptree and Stansted - one mentions Eton Manor travelling to Southend United after a midweek defeat to Billericay Town (who were eventual champions with Tiptree as runner's up!) and coming away with a win thanks to a hat-trick by John Inkersole. Southend United entered an 'A' side in the ESL in 1971/72 and from 1974 to 1976. 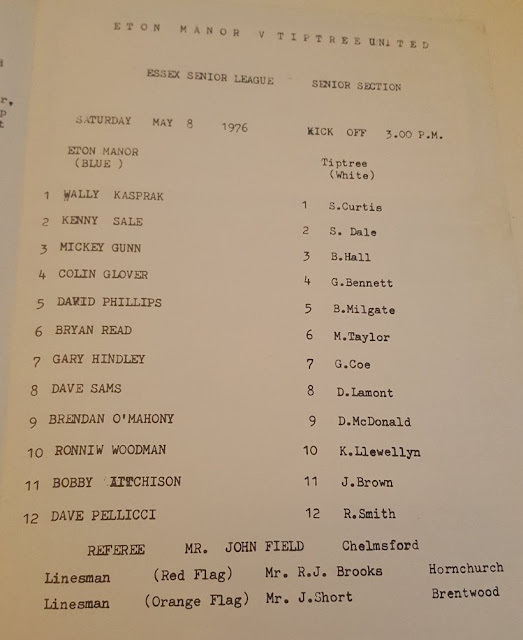 Eton Manor finished seventh in the table after losing their opening six games - They lost eleven games in total which means they had an impressive record of just five defeats in their last twenty-two games. 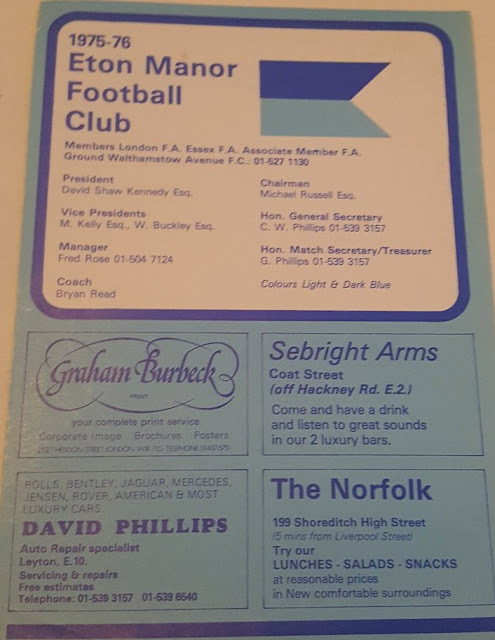 Of the pubs advertised in the programmes The Sebright Arms is still open and is a very popular local music venue. Like many pubs in the area The Norfolk and The Duke of Devonshire are now unfortunately shut.